Performance Trends is a leading producers of high quality, high tech computer tools for racers. Pit Stop USA is The Online Motorsports Superstore! 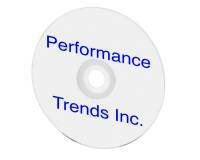 We feature Performance Trends at low everyday prices. Pit Stop USA is The Online Motorsports Superstore! Performance Trends is one of the largest producers of high quality, high tech computer tools for today's racer, engine builder or performance enthusiast. 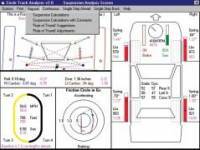 Performance Trends started in 1986 with the release of their popular Drag Racing Analyzer computer program, quickly followed by the Engine Analyzer. Since then, Performance Trends have expanded the product line to 20 engine building and racing computer programs. Performance Trends now also produce swirl meters for flow bench testing, and the DataMite line of data loggers, sensors and software for both "on track" racing and dyno testing. Current products include engine simulation software; drag racing simulation software; circle track simulation software; suspension simulation software; flow bench software; flow bench electronics; flow bench swirl meters; flow bench tumble meters; EZ Flow flow bench systems; flow bench pitot tubes; valve spring testers; retro-fit kits to computerize their Rimac spring tester; fuel economy software; gear selection software; pit stop fuel mileage software; practice tree software; cam measurement software; cam measurement systems; compression ratio software; dynamometer data acquisition (data loggers) for custom, inertia, chassis, water brake dynos or Stuska ™, Go-Power ™, Davenport ™, Prototype ™, Clayton ™, and other brands of dynos; drag race data acquisition (data loggers); circle track data acquisition (data loggers); road race data acquisition (data loggers); 4 link suspension software; and more. We feature Performance Trends Racing Computer Software, Performance Trends Engine Analyzer , Performance Trends Circle Track Analyzer, Performance Trends Roll Center Calculator, Performance Trends 3-D Suspension Analyzer at low everyday prices!